Description: This classic Wilkinson stained glass shade features Ruby glass square and triangular jewels that accent Cerise Red streaked Forrest Green bands on a warm Beige background. 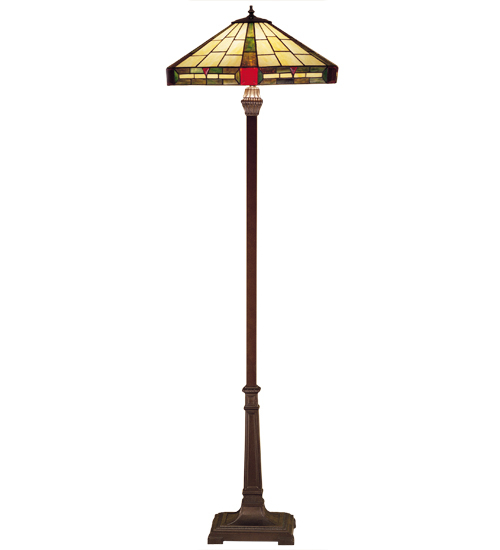 This handsome shade is handcrafted using the copper foil technique invented by Louis Comfort Tiffany. The shade is paired with a floor lamp base, hand finished in a warm Mahogany Bronze.